Sometimes dogs need to hide, especially when they’ve chewed on something their owner values. 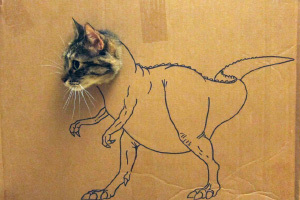 Unlike Ninja Cats, however, they often fail at playing hide-and-seek, which provides their owners with cute and hilarious photos. Great Danes are not good at anything , except being your friend .